I listen to a lot of music. Between running at the gym, sermon preparation, and a host of other activities, I am constantly sifting through new albums throughout the year. Below is my list of the top 10 albums that were released in 2016. Wilco’s tenth studio album is filled with the stuff that makes Wilco Wilco. Tweedy’s twangy vocals, smooth harmonies, and poetic verses easily solidified this as one of my most listened to albums throughout the year. I started listening to White Denim during my freshman year of college and I have looked forward to each of their releases ever since. Though not as enthralling as their earlier albums “Exposition” and “Fits”, “Stiff” moves and grooves from beginning to end. Part of what keeps bringing me back to White Denim is their relentless desire to blend genres into solid music. Hailing from Durham, North Carolina, Hiss Golden Messenger’s “Heart Like a Levee” is like listening to Megafaun’s best songs on one album. The use of blues and folk rhythms allow the record to come through warm and inviting while also staying true to the form with melancholy when necessary. Adrianne Lenker’s voice haunts me. From the fragility of the song Paul to the emphatic harmonies on Masterpiece she has clearly found her calling. Will Toledo has recorded A LOT of music (some from the backseat of his car; hence the name). With the release of “Teens of Denial” Toledo has started to receive critical acclaim and he deserves it. This albums contains a lot of honesty which is ironic considering 2016 is being called the year of “post-truth”. Olsen’s 2014 “Burn Your Fire for No Witnesses” is easily one of my favorite albums of the decade, and she followed it with a solid collection of songs on “MY WOMAN”. Though not as haunting as the simple strumming and singing from her previous album, her songwriting has matured and kicks with force. Her vibrato still lingers between my ears whenever I hear the songs Sister and Woman. Without a doubt, I listened to “The Wilderness” while writing sermons more than any other album this year. The musical project of a bunch of friends from Austin, Texas, Explosions in the Sky is one of the most contemplative and moving post-rock bands I’ve ever heard. Greta Kline’s sweet voice rings through on each song of “Next Thing” and was one of the biggest surprises (for me) of 2016. I bought the album on a whim after hearing about it on All Songs Considered and I kept coming back to it throughout the year. The most needed album of 2016. Maybe it’s because I became a father this year, and Andrew Bird’s recent step in fatherhood shaped the album, but “Are You Serious” was my favorite album of the year. From beginning to end every song drips with the flavor that has comes to define Bird’s music: haunting harmonies, moving melodies, winsome whistling, etc. Out of the numerous responsibilities that come with being a pastor, selecting the hymns for Sunday morning is one of my favorite privileges. I love spending time deep in God’s Word to begin crafting a sermon, but spending time in the hymnal and choosing songs to complement the thrust of worship is incredible. 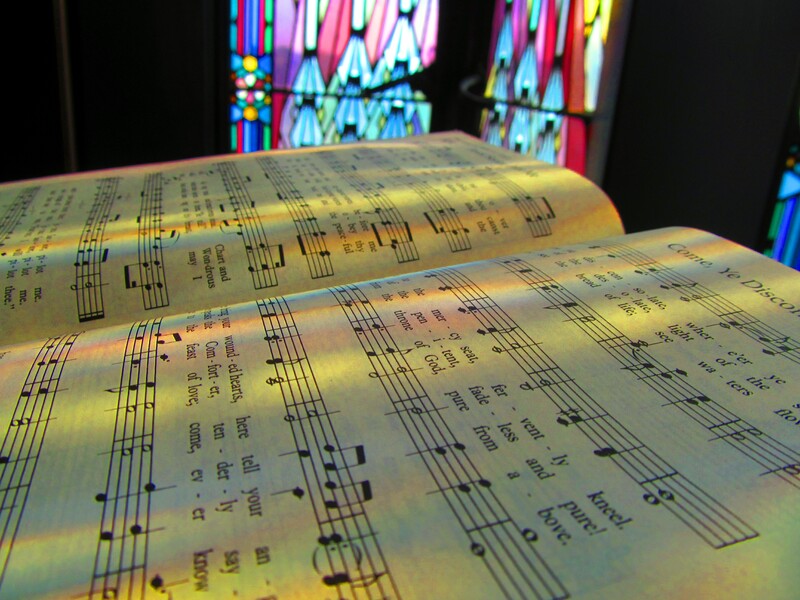 I grew up learning to sing my faith out of the hymnal and I believe hymns are vitally important for us to continually learn what it means to be faithful today. Have you ever been in the middle of a hymn during worship when you started to really understand it for the first time? You might’ve known all the words to something like “Leaning on the Everlasting Arms” but one Sunday it finally clicked? Or you’ve heard children sing “He’s Got The Whole World In His Hands” but when you saw them pointing at you during the service you realized, for the first time, that God has you in his hands? “I will sing to the Lord as long as I live; I will sing praise to my God while I have being.” Singing our faith is at the heart of what it means to be faithful because our words, and the music, help us to grasp who we are and whose we are. This week, let us all reflect on the meaning of the hymns we sing. What is your favorite hymn? What has it taught you about faith and discipleship? The horse’s hay lay beneath His head our Lord was born to a manger bed, that all whose wells run dry could drink of his supply. To keep Him warm the sheep drew near, so grateful for His coming here: You come with news of grace, come to take my place! The donkey whispered in His ear: Child, in thirty-some-odd years, You’ll ride someone who looks like me (untriumphantly). While the cardinals warbled a joyful song: He’ll make right what man made wrong, bringing low the hills, that the valleys might be filled! Then Child, asked the birds, well, aren’t they lovely words we sing? The tiny Baby lay there without saying anything. As a distance stood a mangy goat with crooked teeth and a matted coat, weary eyes and worn, chipped & twisted horns. Thinking: Maybe I’ll make friends some day with the cows in the pens and the Rambouillet, but for now I’ll keep away – I got nothin’ smart to say. But there’s a sign on the barn in Cabbagetown: “WHEN THE RAIN PICKS UP AND THE SUN GOES DOWN, SINNERS COME INSIDE! WITH NO MONEY, COME AND BUY. NO CLEVER TALK NOR GIFT TO BRING REQUIRES OUR LOWLY, LOVELY KING. COME YOU EMPTY-HANDED, YOU DON’T NEED ANYTHING. And the night was cool and clear as glass with the sneaking snake in the garden grass, as Deep cried out to Deep, the disciples fast asleep. And the snake perked up when he heard You ask: If You’re willing that this cup might pass we could find our way back home, maybe start a family all our own… but does not the Father guide the Son? Not my will but Yours be done! What else here to do? What else me but You? And the snake who’d held the world, a stick, a carrot and a string, was crushed beneath the Foot of Your not wanting anything. For me, music makes the worship service. I can listen to a mediocre sermon, but if the organist has been hitting all the notes perfectly I can walk away feeling filled with the Spirit. I can be ignored as a first time visitor, but if the gathered body sings with full vigor I can leave the service feeling that I have encountered the living God. I can witness borderline heretical theology in a bulletin, but if the musicians are truly glorifying the Lord through their instruments, I can believe that the service has been redeemed. 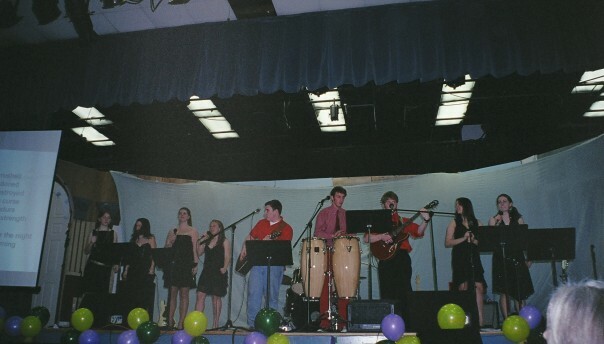 I started playing drums for contemporary worship services when I was in 9th grade. 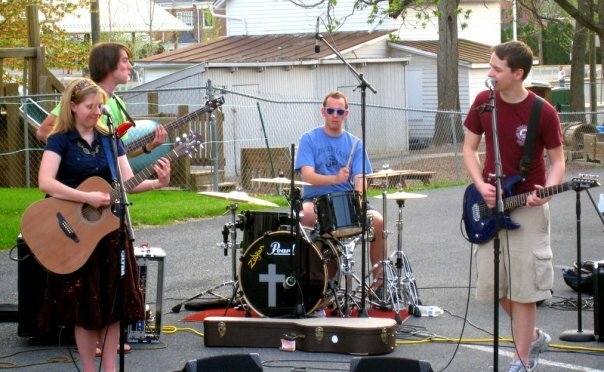 I played all through high school, college, and seminary for a variety of churches in a variety of places. It is difficult to describe the doxological feeling that I experience when playing drums during a service, but suffice it to say that I feel closer to God in those moments than many others. Contemporary services are not for everyone, even I will admit that I enjoy playing for those services rather than experiencing them in the pews, but they help connect a large portion of Christians to the living God in a way that shapes, molds, and grows their faith. When I was in college I began playing for the Crave service that was a part of the Wesley Foundation at James Madison University. Every Sunday afternoon the band would get together at Asbury UMC to practice for a few hours before the service began in the evening. We would play songs that got people placing their hands in the air and praising God. We would play songs that got people dancing in the pews. We would play songs that were so familiar and catchy that I could actually hear people singing the words over the volume of the drum-kit. You can have the best music in the world at your church, but when the music becomes the only life-giving part of your discipleship formation, when acts of justice and righteousness have gone missing, we limit the depth and beauty that we can experience. Music is most powerful when it points away from ourselves to God, and when it inspires us to be righteous outside of worship. This week, let us look for the moments when we can let justice roll down like waters for others around us. Let us truly listen to the words of our Christian songs and live them out so that our righteousness can be like an ever-flowing stream. 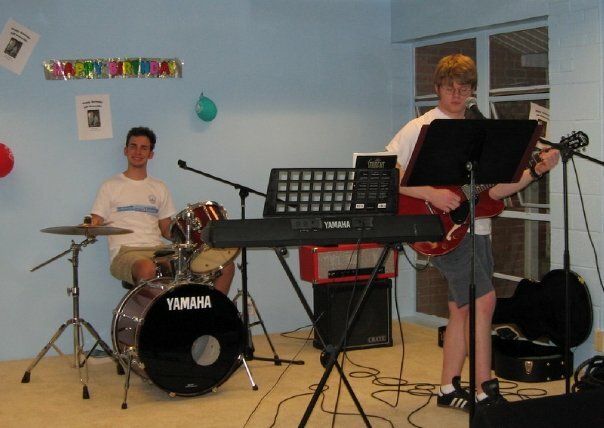 When I was in High School I was fortunate to help form a youth band at my home church. A number of us would gather on a weekly basis in the sanctuary playing contemporary Christian music with guitars, bass, drums, and singers. We always had an adult present in order to fulfill the Childcare Protection Policy, but we largely did everything on our own; we picked the music, practiced accordingly, and planned performances throughout the year. Though I had been attending church my entire life, it was during this period that I began to have a serious appreciation for worship, scripture, and prayer. We would talk about the lyrics of the songs regarding their connection with biblical verses, we debated about how songs should be played in order to indicate the mood of a service, and we began and ended every practice with prayer. One of my best friends growing up was a regular for leading prayer at the end of practice. He was often filled with joy (and by the Spirit) and would wave his arms back in forth while we stood hand in hand in a circle. His way of prayer was unlike anything else I had experienced. Whereas many would pray in some sort of elevated way (“Oh Great and Holy Majestic God who knows no bounds, commit thyself to mercy” etc) Will always sounded as if he was talking to another one of his friends. God, for Will, was a constant companion, a trusted friend, and a exciting partner on this journey of life. Will’s prayers were life-giving for all of there because he made God so much more approachable for all of us. Moreover, the prayers were never limited to our specific needs as teenagers, or even as a band, but they flowed over every element of life. Will would pray for the weather (every week), the other people of our church and school, our futures, and justice in the world. He might not know it, but Will taught all of us how to be in relationship with God, and with one another. The psalmist writes regarding the coming Messiah, “May he be like rain that falls on the mown grass, like showers that water the earth. In his days may righteousness flourish and peace abound, until the moon is no more.” Our relationship with God through Jesus Christ is one that meets us at every moment of our lives, the glorious and the mundane. God confronts us in magnitude and in simplicity. As we continue to shape ourselves into disciples of Jesus Christ, our prayers should always be for the one who falls like rain on the mown grass of our lives. And so, in this holiday season filled with reunion and sacrifice, remember that Christ is a living presence in your life. When you go to God in prayer, let the words of Psalm 72 help to anticipate God’s coming reign, and our responsibility to live into God’s kingdom of justice on earth here and now. Let us all pray like Will, pray for God to reign abundantly in our hearts so that we might all come within his warm and peaceful embrace.